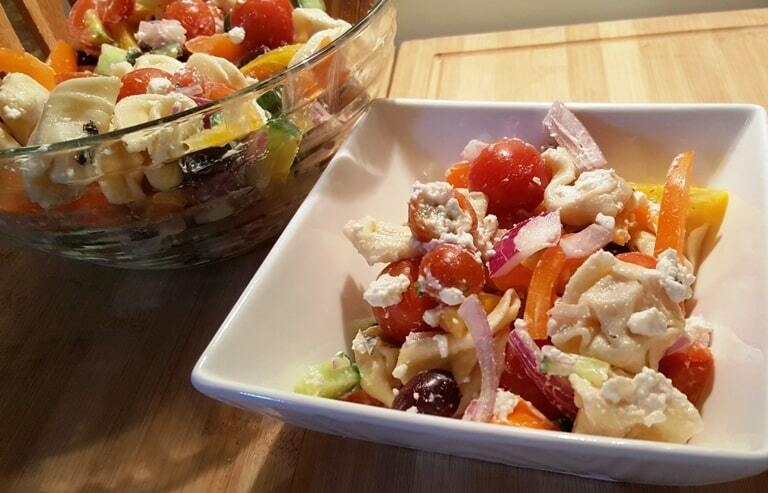 One of my favorite salads to eat is a Greek Salad with Vidalia Onion Salad Dressing. When I worked in West Palm Beach, Florida, my husband used to send me off to work with a wonderful, delicious, yummy Cortadito and a Greek Salad for lunch. It was not the traditional Greek Salad, as there was a bit of lettuce in the salad, but it was what I loved so much. 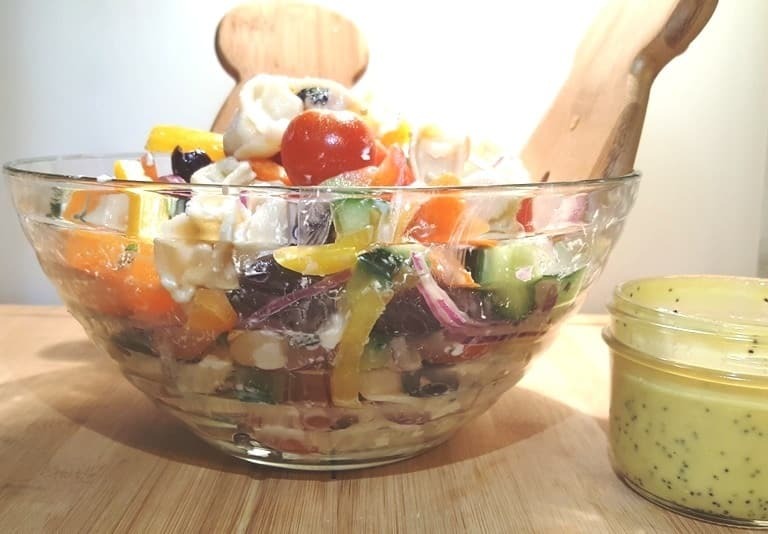 Vidalia Onion Salad Dressing is not the traditional dressing for Greek Salads, but I love the stuff so much and it is really awesome on a Greek-ish salad. It is also great for cooking salmon, but I digress. 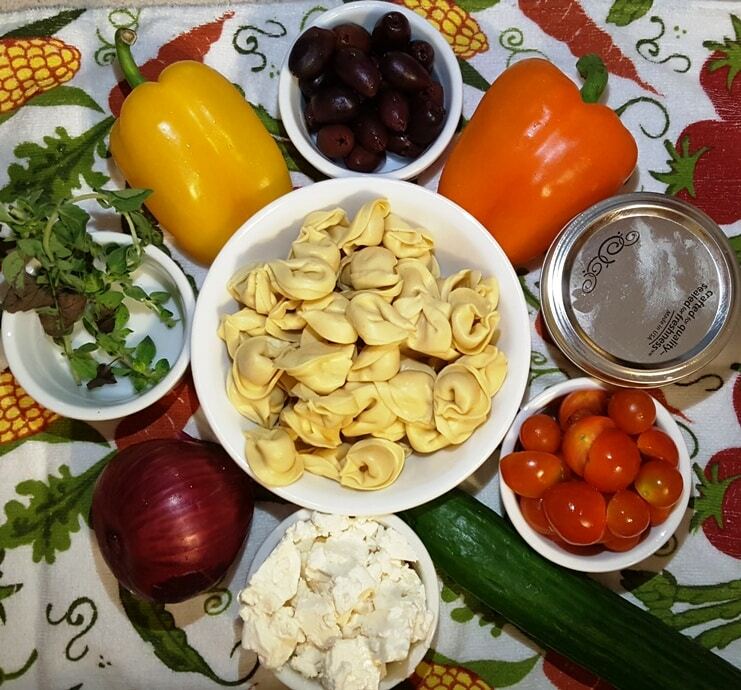 To make the salad more colorful for gatherings, we changed it up a bit and added Tortellini to give it more umph and flair. Inspired by The Slow Roasted Italian to use Tortellini in salads, I will be doing a series of Tortellini salads, as I just love the stuff. 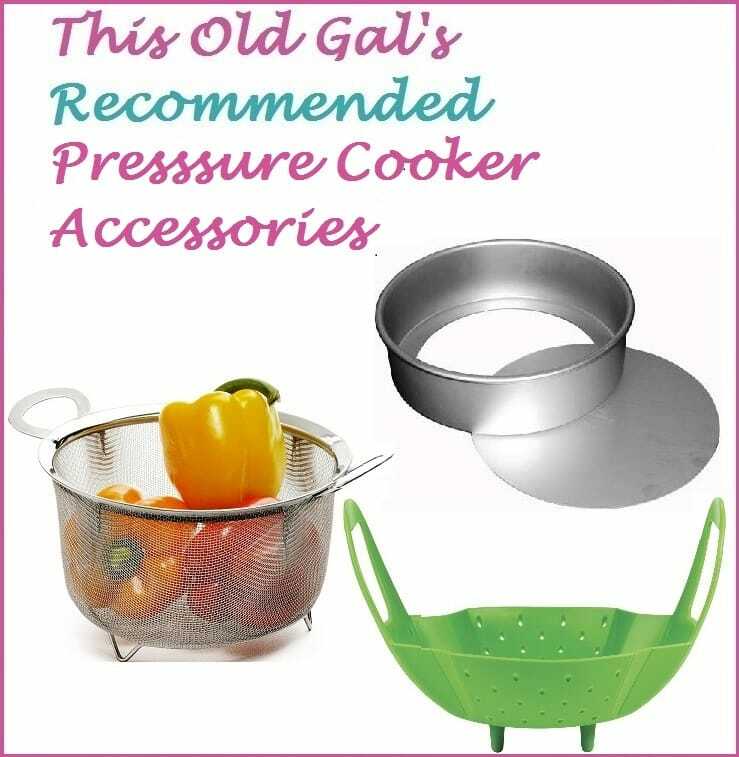 If using a Pressure Cooker, it is a great idea to put the Tortellini into a strainer basket, so that it is easily removed from the Pressure Cooker after cooking. 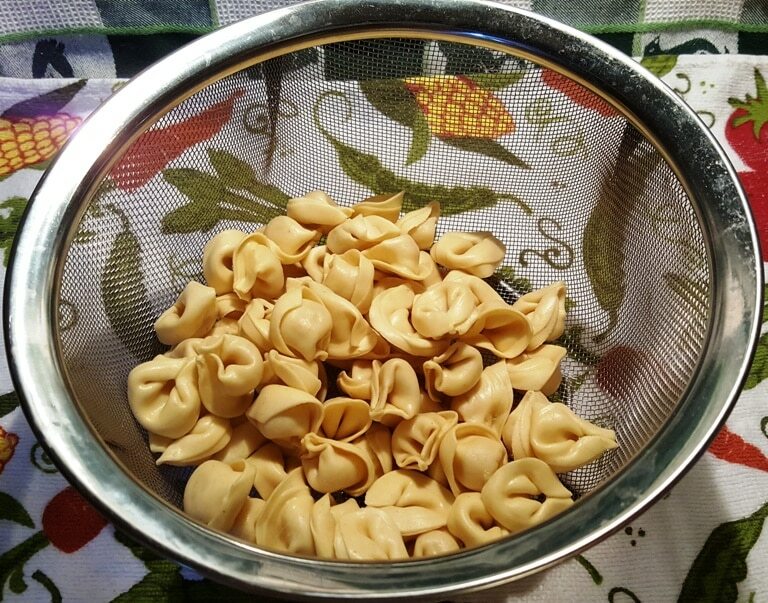 Since I used fresh Tortellini and cooked it in my Instant Pot Smart DUO60, it took barely one minute. So, cook for half the time on the package directions and err on the side of less time. Carefully do a quick release and drain under cold water. If cooking on the stove, follow the directions on the package. 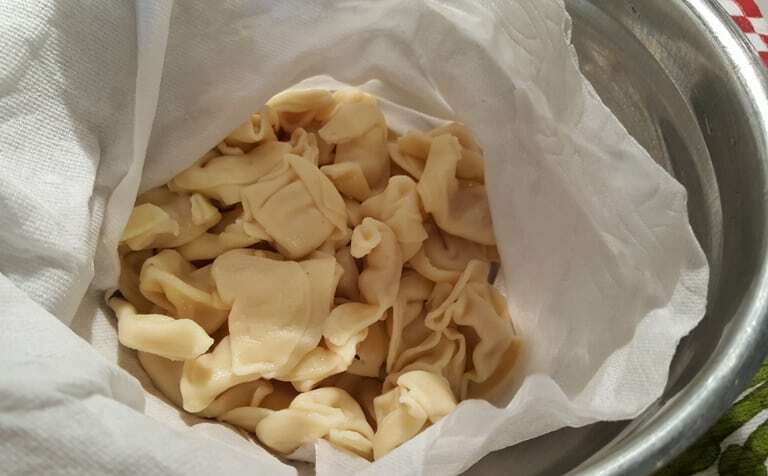 Dry off the tortellini with a towel and place in refrigerator to chill. 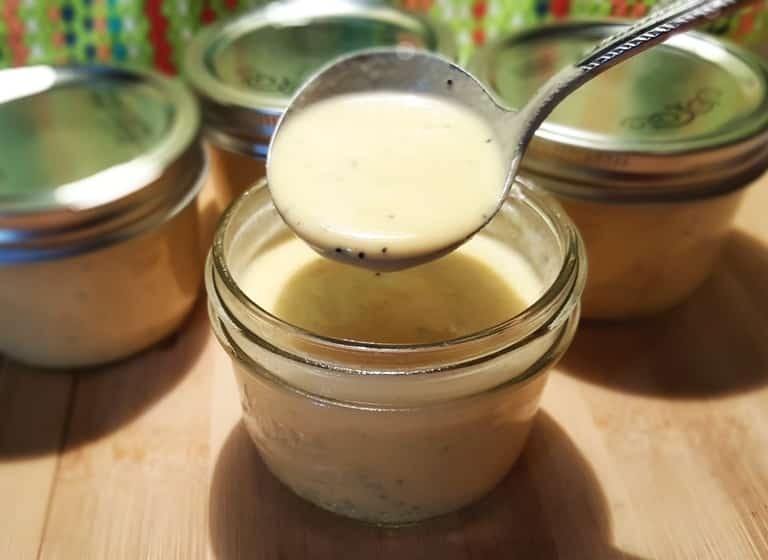 Prepare the Sweet Vidalia Onion Salad Dressing and refrigerate for a couple of hours. Cut up all the vegetables to bite size pieces and cut the onions super thin. Using a paper towel, dry off any excess water. Gently Mix up all the ingredients in a Large Mixing Bowl. 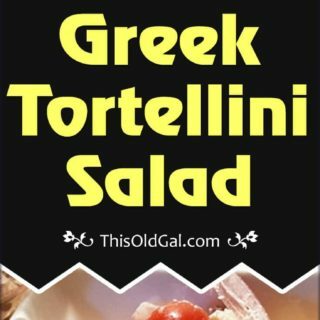 If you are planning to serve the Greek Tortellini Salad immediately, add in the dressing and gently toss. I love these Bamboo Salad Hands because they have knobs on the back to keep them from sliding into the bowl. This makes a beautiful presentation. 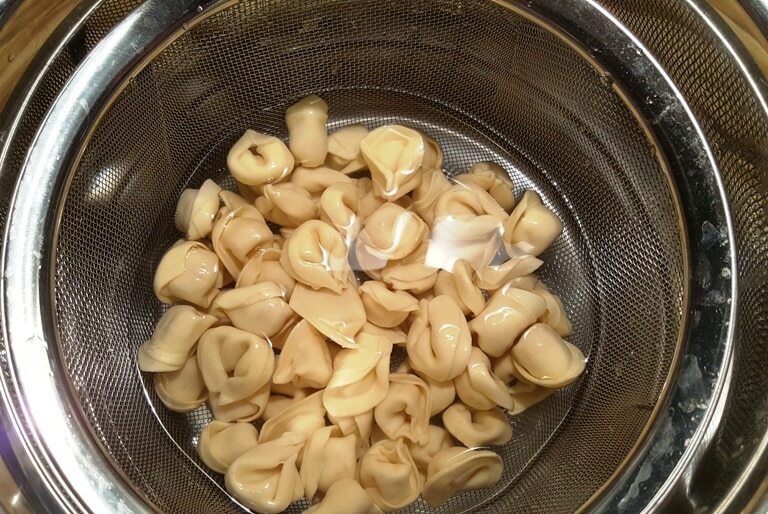 Cook Tortellini according to package directions, drain, dry and chill. Prepare Vidalia Onion Salad Dressing. 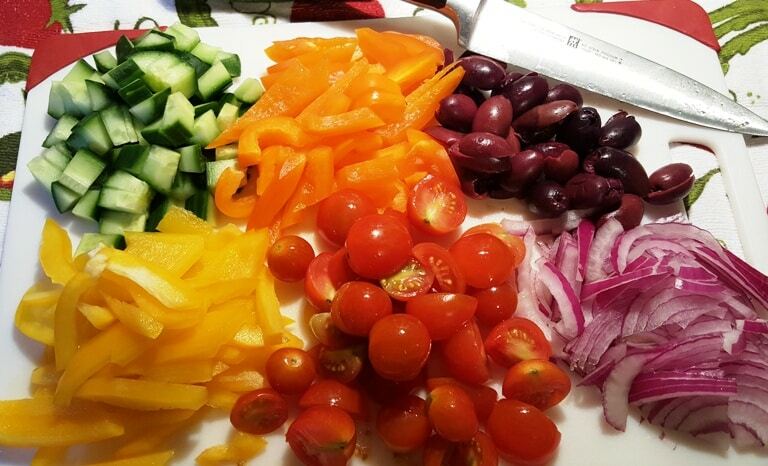 Chop all vegetables into bite size pieces. Toss vegetables and tortellini together. Sprinkle with sliced fresh oregano leaves. Kalamata Olives are very strong. 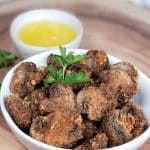 Black Olives are mild and are a good substitute. 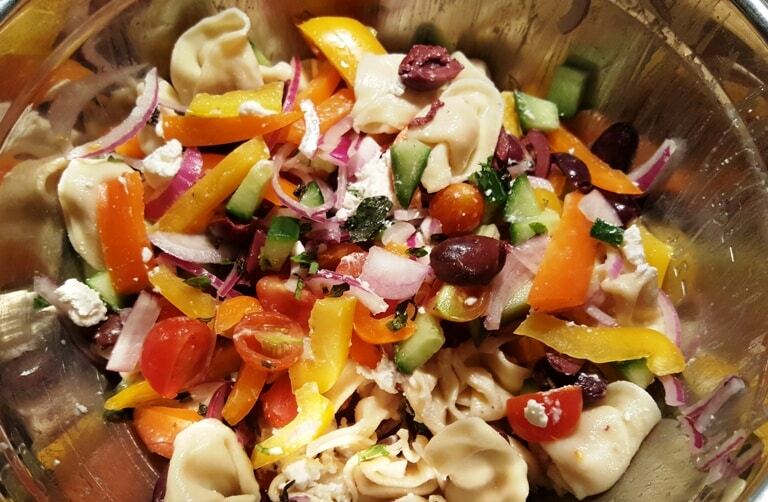 PIN this Greek Tortellini Salad! 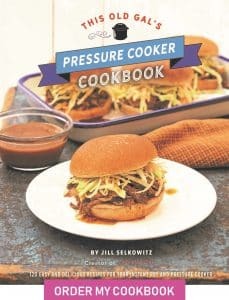 Jill, for any Greek dishes that call for oregano, I highly recommend using Greek oregano, or Mediterranean oregano. 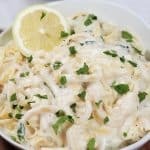 It imparts the true flavor of Greek dishes. There is Mexican, Italian and Greek oregano and I use each accordingly. 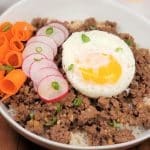 That being said I really like your posts and plan to try this recipe soon. 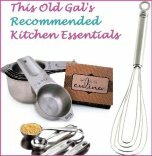 I make ravioli and tortellini from scratch but in this case I am tempted to buy some for a quick salad! Greek oregano is a great suggestion and I will add that to the recipe. Awesome that you make your filled pasta from scratch. 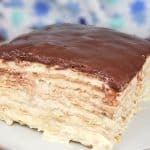 I am sure it tastes divine!! I look forward to your comments after making the salad. 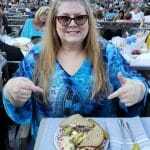 I love Greek food. Mousaka is one of my favorite things.